Becky Warren, the Nashville-based singer-songwriter returns to the music scene with a 12-track concept record called War Surplus. 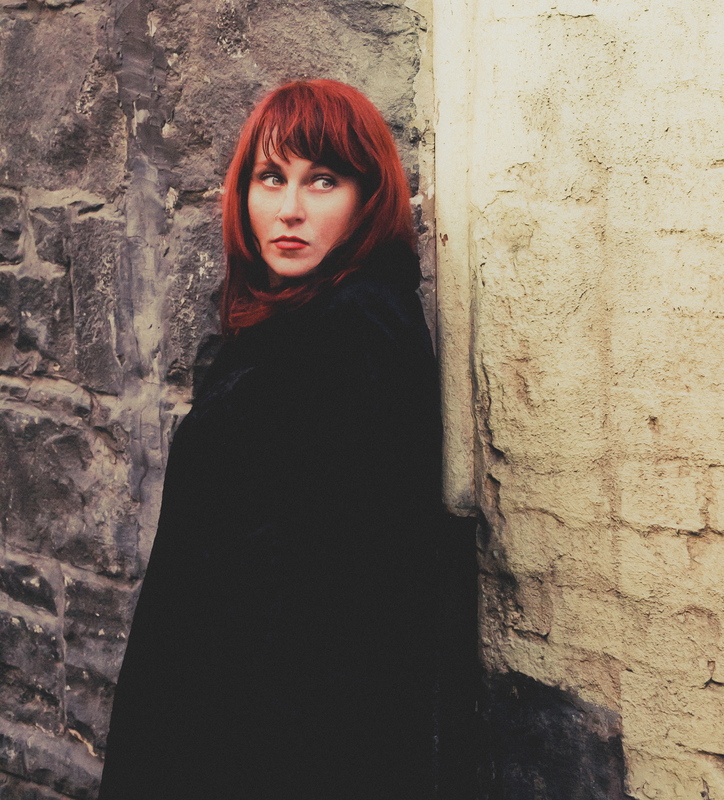 Although she had been playing music for 25 years, War Surplus – an independent record which has just released – is Becky’s first solo album. To promote her album, Becky is getting ready to hit the road, starting in Baltimore and then traveling to New England, as an opener for the Indigo Girls a second time. During my telephone chat with Becky, the artist recalls the moment in 2004 when she learned that Amy Ray of the Indigo Girls wanted to release an album Becky recorded with her band from college. Becky also plans to tour separately to promote War Surplus, beginning in Atlanta and continuing west to New Orleans, Dallas, and Austin. While she feels excited to return to performance, Becky re-enters the real world of music with a greater objective, raising awareness about veterans’ issues. How does Becky, plan to accomplish this? By joining the storytelling style of country with Americana in front of a backdrop – a fictional story inspired by the real events within Becky’s life; her marriage to a veteran who served in the war in Iraq and experienced post-traumatic stress disorder. War Surplus tells the story of two Americans, June, and Scott, who fall in love and have their relationship rattled by this war across 12 heart-wrenching songs that will quickly hook the listener to Becky’s sound. What I am most curious to learn is what steps the artist took to transform a fictional story into a record, how the music reflected events and character development, and how this story would end. More importantly, I wanted to understand how War Surplus could help make listeners more aware of the issues that veterans are facing in the United States. It is my pleasure to turn my interview with Becky Warren into an article and share it with you right here on Music Historian. The creation of War Surplus started in 2012 when Becky had decided to attend the Johnny Mercer Foundation writing program. Here, she met several artists involved in musical theater, and shortly after she released a second album with The Great Unknowns titled Homefront. By this time, Becky was coming out of her five-year stint away from songwriting. “For all five years that I was married, I was not writing. I just really wanted to get another The Great Unknowns record out. Many of the songs on that album were my personal view on what that time had been like for me: about how much I missed playing music; and what it was like for me to be married to someone with post-traumatic stress disorder (PTSD). There is also another song on there; it is a little fictional, but it comes from the perspective of a soldier coming home and then having his marriage fall apart. “That was me looking at my personal view of what had happened. Now that I have more distance I just really became interested in how others had gone through the same thing. That’s what had brought me to writing War Surplus. I had never considered doing a concept album, or a series of songs around one story before that [the Johnny Mercer] program. “Before I started writing this album, I was only writing about myself, and I had not thought about writing from another character’s point of view. That was eye-opening, and it turns out I love that. I can’t believe I had spent so much of my life writing only from the view of women. Now, I write from the view of men a lot. I feel glad that I have allowed myself to open that door… it’s a new and fun challenge for me to write from somebody else’s point of view, someone different from me. “One thing I learned, when people write a musical, they usually write twice as many songs as they need and toss half of them. That was on my mind when I worked on this album… I should just write and write, and not worry about which songs were going to be “The songs” until I was sure I had enough to cover the whole story well. They are [also] very focused on the characters in the songs, their wants, what changes in the songs, and why the character sings the song on stage. All of these [things] I picked up from the Johnny Mercer program. Although Becky modestly laughed while she talked about the lyrics within “Call me Sometime,” I could tell that she seriously thought about June’s character. She continues, “It was when I realized that if I could write her like that, it will make things so much easier for me. Therefore, I pictured her as a person who was living in San Antonio, a town with a lot of military personnel, and military tradition. June is deeply skeptical of love and even more skeptical of dating men within the army. She forms opinions about how ‘good’ they would be as boyfriends, and she does not believe that someone she meets at a bar will be worth her time. So the story begins. The second track on the album “San Antonio” helps prepare the setting. According to Becky, she wanted this song to have a sense of place, and San Antonio has a connection to the military, it is also a city where one can easily live separate of that community. Therefore, she purposefully decided that June would not live on base; instead, while Scott gets deployed, June would continue living the life she had known. The lyrics within this slower-paced serve as a narrative by someone who describes this well-known Texas city with a significant amount of familiarity, and the long hard trucker barrels down in his state town, miles left to cross/ but the late night DJ on KMBT always knows what to play for the lost/ The great state of Texas sings something secret for each of its souls tonight/ And you’re the song that’s been stuck in my head my whole life. Becky talks a little more about this song. When it came to writing from Scott’s perspective, Becky looked to many external resources, including literature. The artist at the time read many books and poems that took place in Iraq. One book that stood out to Becky was My War: Killing Time in Iraq by Colby Buzzell. Becky felt that the narrative of Buzzell’s book and the character of Scott shared a lot of commonalities, including Buzzell’s “sense of humor and slightly countercultural slant on things.” The singer-songwriter also says that everything that happens in “Stay Calm, Get Low” also happens in Colby’s book. After writing the song, Becky let Colby hear it; an experience that, for the artist, was one of the most exciting parts of writing this album. While the artist expresses feelings of creative gratification writing through the perspective of a character very different from her and using real-life examples from accounts written by ex-soldiers who served in Iraq; Becky makes sure that the listener receives a healthy dosage of disillusionment about the war in “Stay Calm, Get Low.” In the verse, half-way through the song, Becky sings I am an m240 machine gun, a black and white Hollywood rerun, a ten second mention on the evening news and then follows up with the following lyrics in the chorus stay calm, get low/ this ain’t no picture show/ stay calm, get low/ just tell yourself you know/ we’re all gonna make it home. Becky explains, “I have never been in combat… everything you know about it comes from movies, books, and television. I believe the reality is that half of the time, it gets very boring, and then it is punctuated by moments of terror and unimaginable horror. That [combat] is a very bizarre circumstance, but you have to adjust to it very quickly. The chorus in “Stay Calm, Get Low,” is very easy to remember and sing along to, especially as there is a distinct downbeat that listeners hear in the pause between “stay calm” and “get low.” However, in my opinion, comparing “Stay Calm, Get Low” to Bruce Springsteen’s “Born in the U.S.A” proves to be more challenging than I initially thought. Aside from the fact that Springsteen’s famous song relates to a war different from the one that Becky sings about; “Born in the U.S.A.” seems to be mislabeled continuously as a patriotic song. According to what Becky writes about “Born in the U.S.A.” on her website, “while it is a serious song about Vietnam vets, people still have a great time shouting along to it at stadiums” (www.beckywarren.com Retrieved October 2016). Becky elaborates on her opinion of a song we both happen to appreciate. “The interesting thing about “Born in the U.S.A.” is that for many people, it does sound patriotic because of the chorus. When a patriotic song is about war, it is not about the person; it is more about that person as a symbol for why we are proud to be American. It’s not usually about that individual’s life, their thoughts or feelings, or the details. Returning to Becky’s songs on War Surplus and the story of Scott and June, another song in which Scott seems to experience disillusionment about the war is appropriately titled “Seemed Like a Good Idea at the Time.” This song is the catchiest and also has the most straightforward storytelling as the singer delivers a narrative describing what led young men to sign up and serve in the army in the first place – a promise for a better future or a more rewarding career. The song that follows this is “I Miss You,” which, told from June’s perspective. The phrase, God I miss you like you wouldn’t believe, solidly concludes a few verses throughout that song, and beautifully ties up a narrative from the perspective of a woman whose husband or loved one has been absent from her life for a prolonged period. After listening to the first half of War Surplus, I started to wonder which songs were from Scott’s point of view, and which ones were from June’s point of view. Becky clearly identified which of the songs were told through Scott’s or June’s perspective. However, one component that I found missing from the album was a song that could have easily expressed both Scott’s and June’s experience of how the war in Iraq affected their relationship on the same caliber. There seems to be a lack of unity between Scott and June, and perhaps this is primarily caused by the distance that the war places on these two individuals. I asked Becky whether she saw these two characters coming together on a song in the future. “We have such a divide right now between veterans and their families, and everyone else. The people who fought the most recent war, were a very small portion of the population; I think it is one-tenth of one percent. Therefore, many of us don’t know anyone who served at all, and we don’t know anybody who has been in combat. That was the case for me too before I met the person who became my husband. “I don’t think we are doing anything wrong; I just believe that it is strictly in the numbers. Many of us do not know that life at all. I think we form pictures of who veterans are… and maybe tend to think of them as different from ourselves. I think that’s part of the reason why there is perhaps not more pressure on Congress to improve things for the better because many of us think of veterans as somebody else. As I incorporated Becky’s interview into a full-length article, I had a memory of a term paper for an undergrad class I wrote many years ago in my pursuit of a degree in Music History. In my report, I had written about how while a lot of musicians wrote songs focused on particular wars, very few artists wrote songs that directly protested the Iraq war. I now wished that I interviewed a musician like Becky Warren at the time. She helps present a new view of how music can contribute to telling a story about the realities of war and its affects soldiers both in combat and at home, away from the battle. Although the story Becky tells in War Surplus is fictional, real life inspires it. Most importantly, Becky Warren brings War Surplus to massive audiences at a time when people are starting to talk about Post-Traumatic Stress Disorder and the additional effects that the most recent war has left on American veterans. Happy 2016! I should have published this post before December 31st. Please excuse my tardiness. Let’s go into the top five Music Historian blog posts in 2015! I interviewed Aaron in 2014, just weeks before the New Zealand-native indietronica group would perform at The Governor’s Ball Music Festival. I had contacted about ten talent management organizations for interviews with some of the artists attending the festival. CRS Management, who at the time managed The Naked and Famous, was the only talent group that expressed any interest. The effort CRS put in to coordinate an interview between Aaron and I was worth the while. The guest blogger and author of this post, Gary Reese, contributes postings, photos, videos, and interviews about musicians, including those who have appeared on “The Voice.” The “Holly Henry Fan Thread” on Idolforums and the “Holly Henry Fan Page” on The Voice Forums have received several page views. These pages have given Holly Henry the “third most viewed fan discussions of any contestant who as competed on “The Voice.”” I am happy to say that in 2015, Gary’s guest blog was the fourth most viewed article on Music Historian. My interview with George Mihalopoulos, also known by his stage name, Gypsy George, had opened doors to several themes: entrepreneurship; creativity in today’s music business; and being bicultural in America. I initially learned about this artist while researching the music roster for The Northside Festival. His name first grabbed my attention. When I asked the American-Greek artist how he decided to choose his stage name, and call his band – The Open Road Love Affair – I knew I was an for an interesting story. According to the numbers generated by the readership, I might have been on to something. 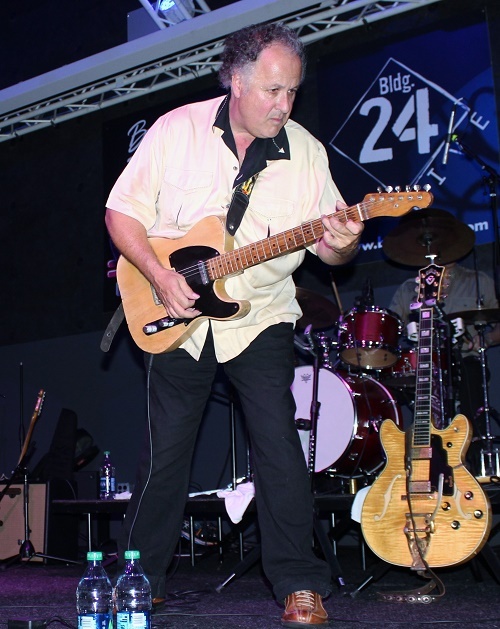 Throughout his career as a professional slide-guitar player, Arlen performed on television, taught famous performers, and even acted as a director for a popular film. However; he never strayed away from his life as an artist and a teacher. Arlen says that showing an artist’s passion is what he is all about. Arlen’s stories of where he has been, his experiences and the lessons he has learned attracted many readers in 2015. When I interviewed Ben McKee in 2012 for a story on Music Historian, I never imagined this story would attract so many readers, nor would I believe that someone would cite my article in their work! I continue to feel so grateful for this opportunity. Also, I feel humbled that so many readers continue to enjoy this post. Although it is a few days late, I wish you, my loyal readers, a very Happy New Year! Thank you for your readership. 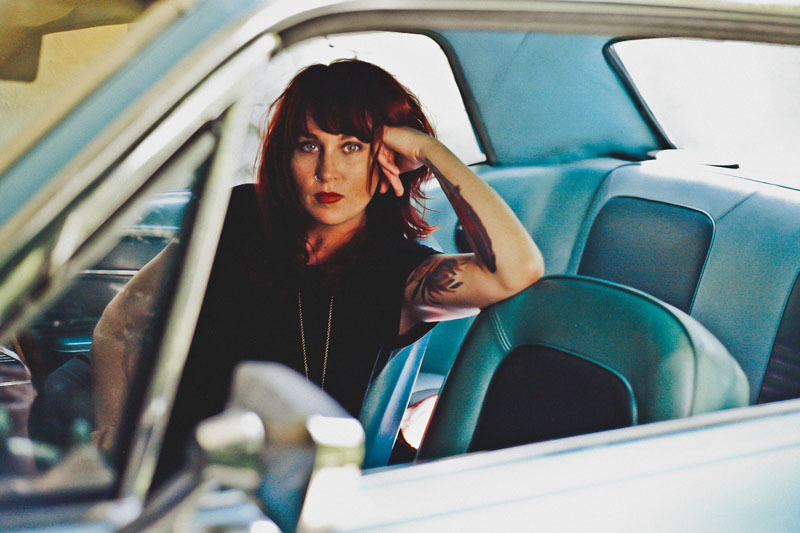 On one of her tracks on her debut album, the alternative country singer-songwriter from Australia, Ruby Boots, sings Sliding down Hell’s Backbone/ dark as night, heart unknown/ I’m just looking to lighten my load/ I’m scared, I’m scared, I’m scared… welcome to the middle of nowhere. The name of the song is “Middle of Nowhere,” and the name of the record on which it is featured is called Solitude. In preparation for my interview with Ruby – whose real name is Bex Chilcott, and whom I had the pleasure of learning about through Baby Robot Media – I researched her back story. Visit her web page and you will read that she left home in Perth when she was 16 to work on a pearling trawler in Broome, a town on the northern coast of Western Australia. “I left home when I was 16, but by the time I managed to get out of Perth, I was about 19 years old. I got up there by hitching up some trucks. I went to where all the truckies loaded on and off and waited for a trucker who would take me. I found two; they would swap and take 5-hour shifts. We managed to do [the trip] in 36 hours, with a quick stopover in Newman. There was a carriage where they slept. If you are just one driver, I guess it could take a few days,” said Ruby. Throughout my interview with Ruby, I was reminded of my semester abroad in Brisbane, Australia (Queensland) in 2008. When I first arrived in the country, I underestimated its size: it is as large as the U.S. Although I never visited Perth during my travels, I did notice how that city seemed to be the only one I had heard of in Western Australia. I then wondered whether “The Middle of Nowhere,” was about Ruby’s road trip from Perth to Broome, or about her days working on a ship and being removed from civilization. I soon learned this song has several interchangeable stories about Ruby’s journey into music and her first album that she is promoting on a tour across the U.S. and Australia. Welcome to my conversation with Ruby Boots on Music Historian. 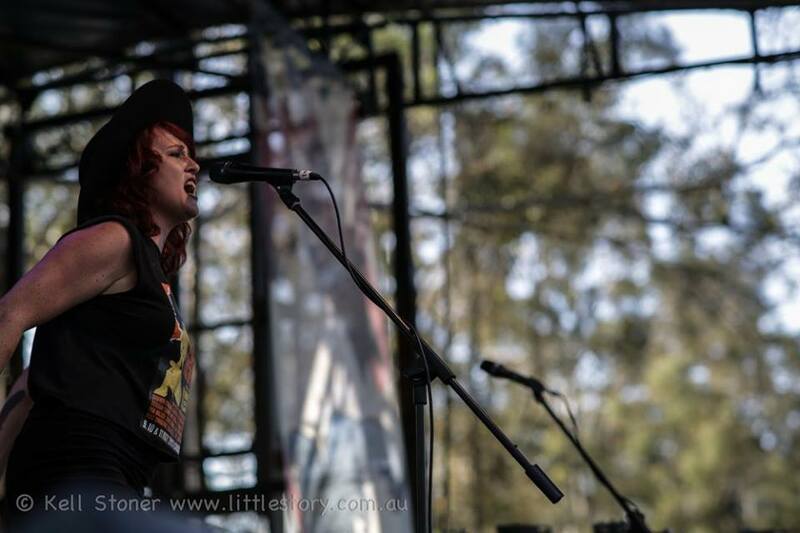 “I originally met her in Perth, and we played a show together. When I worked on the boats, I heard one of [The Waifs’] songs called “The Waitress” from a distance. That [song] drew me to think that I might want to play guitar and sing. That’s how important [she was to me.] All the songs I played at the beginning were all of their songs. You can imagine how important she is to me. She was my role model and wound up meeting her in Salt Lake City. Another song that crawled into my ears is “Wrap Me in a Fever.” The lyrics, I understand are, I thought that loneliness came/ all wrapped up in plastic, cured with cocaine/ I’ll think of you all the same/ if I go without you, at least I’ll have you to blame, then the chorus enters, Come pick me up, honey wrap me in a fever/ I need your love tonight, I’m nothing without you… I recited these lyrics to Ruby, and I almost got them correct. Luckily, Ruby understood the sentiment behind the opening to my next question for her. I wondered whether she found it difficult to put speak very honestly about her feelings. She paused to think about the question for a few seconds. “No,” she responded. “Wrap me in a Fever” is a more upbeat songs on Solitude. The overall sound and style for this record has an Americana feel and traces the traditional roots of country – a storytelling vehicle about the life of the folk. However; Ruby decided to name her debut after another song, “Solitude.” I asked her why. “Going back to when I was first starting writing [music], which was out at sea, I felt there was a lot of that essence… I brought that sentiment from being out there into my songwriting. This is my first full-length album; I wanted to pay homage to where it started for me. It seemed like a good fit, and I think it is a great title,” she explained. I immediately pondered how Ruby was able to find solitude, nevertheless, time to write songs, when she worked a grueling and physically taxing job. 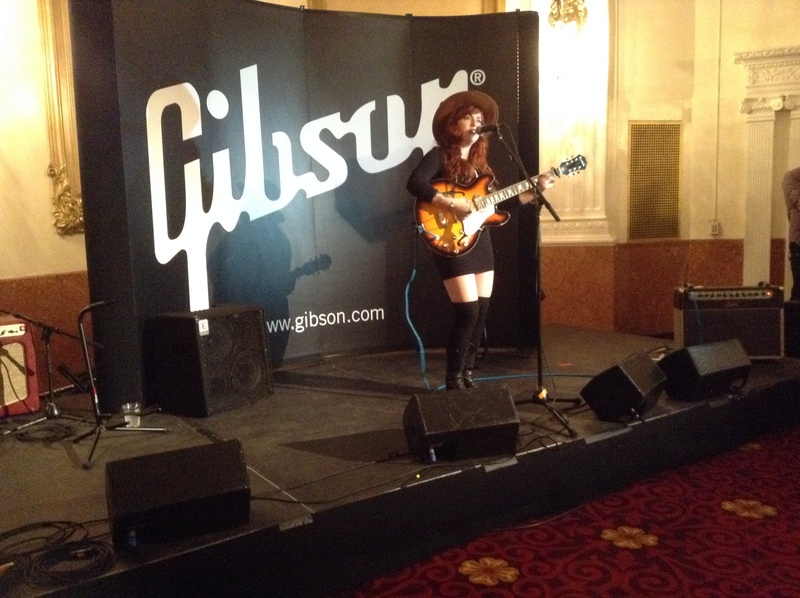 Ruby assured me that this work was what she needed to help her learn guitar and songwriting. “On a day-to-day basis, I got to throw myself into work, and a friend of mine started coming and playing out at sea. I started singing on the deck with him late at night because there was nothing to do. Eventually, I learned a couple of chords, and I picked up the guitar. My day-to-day life out there started changing because I was playing guitar and learning. Ruby’s carpel tunnel syndrome dissipated after three months, and she was out there for three years. It was not until her last year on the pearling trawler; she picked up the guitar. 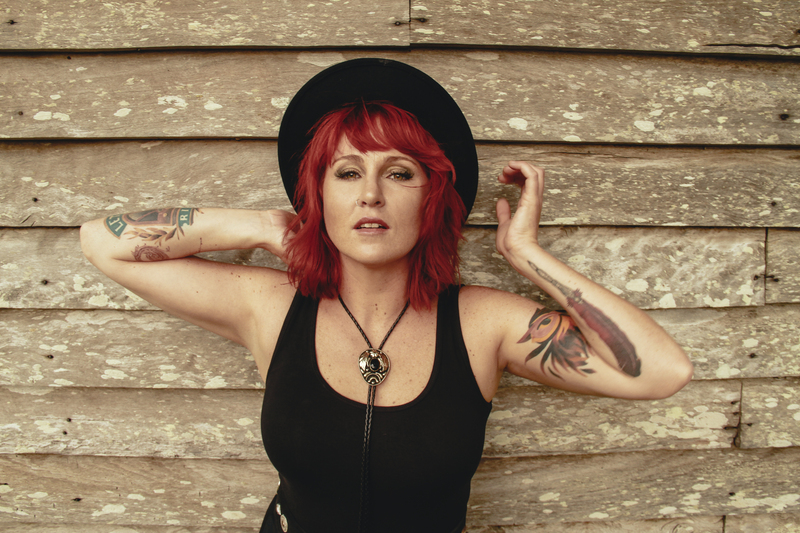 During her time away from the work at sea, she would write songs and perform at local venues in Broome. Ruby contemplated being a professional songwriter for several years. She credits The Waifs for being her greatest inspiration during this time. It was for this reason, Ruby traveled about 9,000 miles, or 14,500 kilometers, to meet Vikki in the U.S. to write songs with her. Interestingly, the artist did not take too long to make her final decision. Three years prior to the night she made her decision, Ruby had played on a set with The Waifs only once. “I was talking to their [The Waif’s] manager and asked whether he knew of anybody in the U.S. who I could write with, and [Vikki] was living here,” recalled Ruby. “We teetered up, and I had met for 30 seconds, and we played three years before that. She said [to her manager], “Yeah, I liked her when she played. Send her out.” And so, he did. Vikki co-wrote “Middle of Nowhere” with Ruby Boots, and also appeared as a guest vocalist on the track. 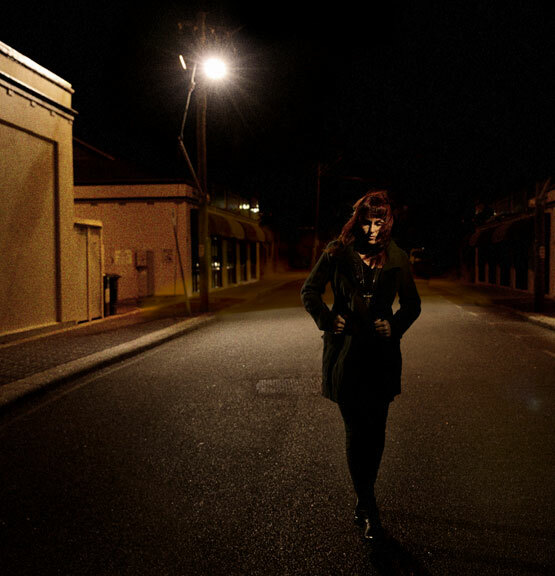 Additional collaborations on Solitude include Tony Buchen (Tim Finn, The Preatures, Mama Kin), who recorded and helped produce “Middle of Nowhere.” Anna Laverty (Jae Laffer, Paul Dempsey, New Gods) produced “Wrap me in a Fever.” I asked Ruby to expand more on her experiences with her collaborators. “Tony and Anna were two of my producers, and they are both very different. It was very cool to work with a woman behind the desk. There is a very different energy in the room, a softer energy, it was very enjoyable. Not to say that she did not take control, but it was a different energy. I liked working with her, and when we got into the studios, she helped me flush out my songs, the music, and words. Tony was very fast-paced, and what we got through was very quick, and I felt like we could go in any direction at any time. We went in the right direction for me. “Vikki…we have become close friends, and we look forward to working more and getting together again to write some songs. I think one of the songs we wrote together ended up on their [The Waif’s] album, on their release. It has been a close collaboration, and it’s been beautiful to have a friendship come out of songwriting. It could be very rare to have those connections, on the road. Ruby came close to tears thinking about her journey, the chances she took, and where it had brought her. I felt relief for her that she recognized what she had been through and just how much the decisions she makes now affect her professional, creative and personal development. 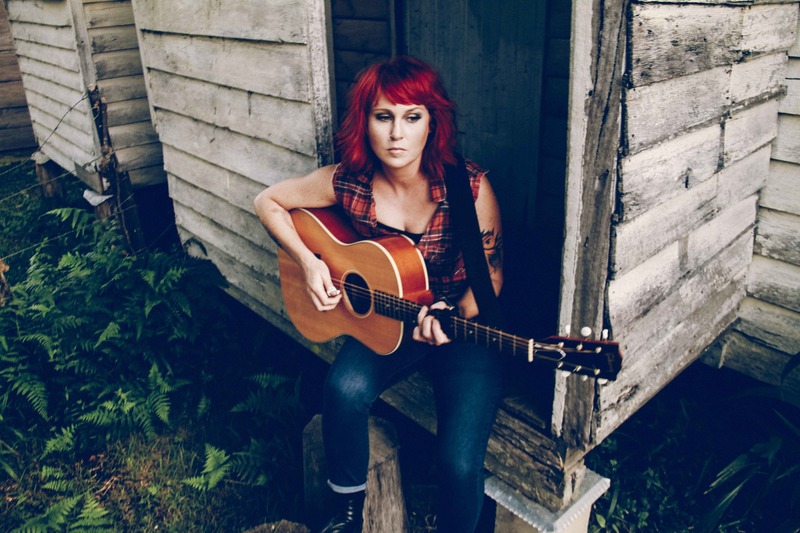 On the topic of her professional development, Ruby is not the only Australian musician I had heard of who aspired to travel to the U.S. to write songs, tour or create an album. I asked Ruby the difference between being a musician in the U.S., versus Australia. “Here you can jump into a van and play 250 shows. In Australia, you can’t do more than 30 per year. That is a big difference. [In Australia] there is a lot more flying involved while there is a lot of driving here. My dream is to be on the road for that much of the year. In Australia, it is almost impossible to do that; you burn out your audiences if you visit every city every time, because there is also less of us. Here, there are so many places to play. I know the U.S. would love to have Ruby over here, especially with the Americana scene. 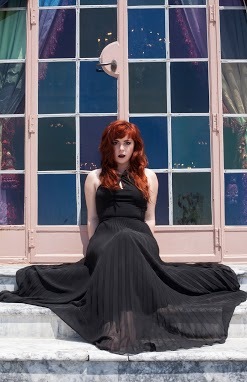 She has already performed with independent Americana acts, including Kim Logan. Years ago, when she came to Nashville for the first time, she also met the front man of The Blackfoot Gypsies, Matthew Paige. When I had told her that I listened to them, and even interviewed them, chills traveled up and down her arms. However, I know that getting to the U.S. from a foreign country presents plenty of challenges – the travel, the visa and working status, the cost of relocating, finding work – for some individuals they search for a company that would sponsor their visa – and many more. I wanted to know about the challenges, and the rewards that came with those challenges for the artist, Ruby. “Where do I start?” she says. “I have been sleeping on couches for two and a half years. I’ve never put a cent in my pocket from my music. I work a couple of jobs so I can stay on the road and everything. That is not to say my music is not going well, but as it grows, it costs more to put a band on the road. I think the sacrifices you make – the times you get to spend with your friends and family – I face many challenges but at the end of the day, doing what you love, truly love, outweighs that all. If it doesn’t, then you probably would not last, to be honest. “The reason I love the genre I am in is because there is true storytelling; the lyrics of the song can connect with people. There is this DIY mentality where people… it is all about the realness. It is not a pop-polished genre. You write songs because you have to; you’ve got something to say. I am glad there are challenges. It teaches me things about life. I am certainly not complaining about it. Ruby has touched people with her music. During our conversation, a fan emailed her. She took out her iPhone to read that email, and shared with me what she read. On this subject, I believe the most honest lyrics touch people the best, especially in Americana. It is for this reason, and another – the composition of the music – I decide whether I am interested in an artist. Whether or not I use this criterion to interview each musician for my blog, the answer is ‘no.’ Now I am honest with my readers. I then asked another fitting question, who are the musicians who have touched Ruby with their music? Although The Waifs are an obvious answer, she still admits that this question was difficult. She gave it her best shot. This question might have been tough, but Ruby answered it beautifully. As our conversation neared an end, as did the iced latte she bought at the beginning of our talk, I asked her one last question – where would she like Solitude to take her into the future? Ruby Boots’ sound will fit easily into the ears and hearts of Americana lovers, and even country fans who want to listen to lyrics that are honest, sometimes even blunt, but beautifully sung. 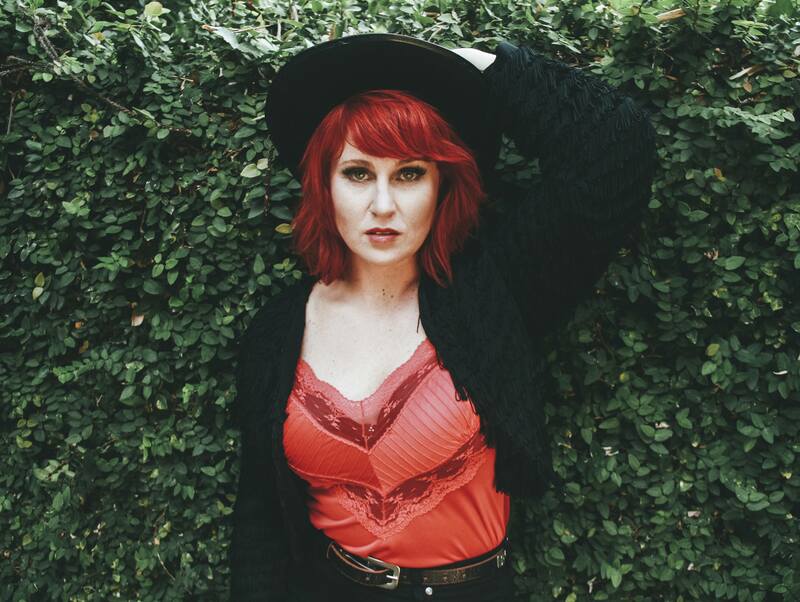 This country siren from down under translates hitting the grind, both emotionally and physically into music. You will not hear too much rasp in Ruby’s voice, but rather a sweet and clean timbre. Her style of storytelling will make you wonder, what is going on in the country down under, and can we have some of that sound up here. Lucky for these listeners, Ruby is not slowing down anytime soon. Until the end of March next year, Ruby and her band will tour Australia. In late September, she finished her tour in the United States. If you listen to Q.1043, WBAB, or any rock station within and around New York City and the Tri-state area, you have heard slide guitar. Whether you listened to, The Red Hot Chili Peppers’ song “My Friends,” The Black Crows’ “She Talks to Angels” (in which the guitar is tuned to the open chord), or the instrumental version of Sam Cooke’s “A Change is Gonna Come” (recreated by Arlen Roth), you heard slide guitar. Yes, I am thrilled that the first official interview article on the Music Historian for 2015 covers a guitar playing technique that has captivated all types of audiences. Rest assured; however, Arlen Roth will not pay a simple ode to the beauty and joy of playing guitar. Arlen shares his story about how he was at the forefront of bringing slide guitar into television and film. Most importantly, he talks about the importance of passing his passion of guitar to his students, family, colleagues and musicians who are gaining a new appreciation for American roots music. It is my pleasure to welcome Arlen to the Music Historian. 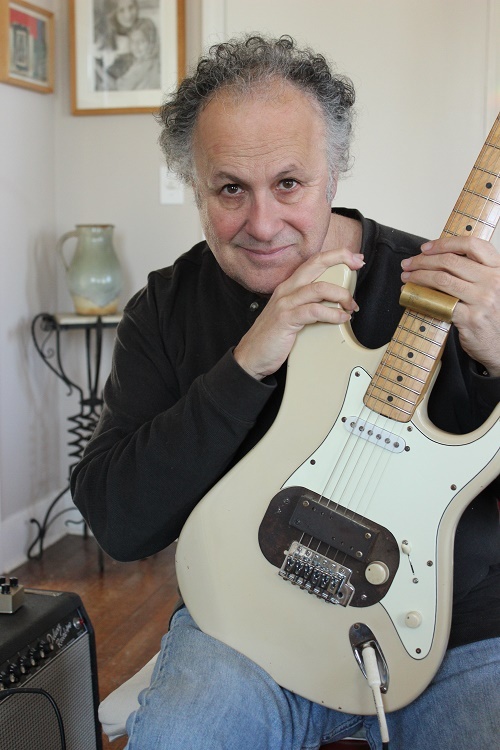 “When I was writing my slide guitar book at 19, I remember asking myself, “How do I know all of this stuff?” I have not even had time to learn it, but at that point, I had already been playing for nine years. I was deeply involved in the blues and in country music. So, at that time, I was the only person in New York City who was playing pedal steel guitar, dobro, and Hawaiian guitar, just because I loved that sound. I used to tune into the far off radio stations and listen to country music in Upstate New York. Whether I was listening to it from Pennsylvania or Wheeling, West Virginia or the famous WSM from Nashville. I picked up all of those stations, and I would pick up and fall in love with those sounds. Arlen was 21 in 1974. In addition to writing his book about the slide guitar (also titled Slide Guitar), he went on tour with the Bee Gees across Canada. 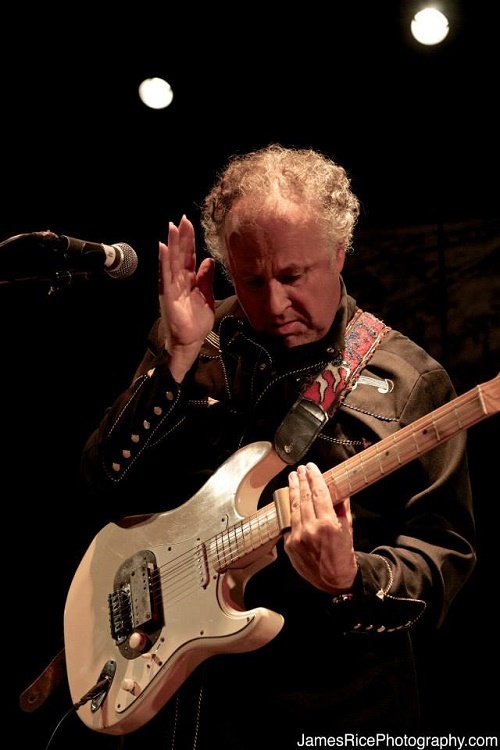 In 1975, he toured with John Prine, then between 1976 and 1978, he performed on an episode of Saturday Night Live with Art Garfunkel, taught guitar and recorded his first solo album. In 1983, he would tour with Simon and Garfunkel. However, Arlen assures that his road to success was not always rosy. “I was in the opening act for the Bee Gees,” recalls Arlen. “They loved my steel guitar playing, so they would have me play on their song [Arlen sings] “I’m a-Goin’ back to Massachusetts.” This is like the real original Bee Gees, before they got into R&B and disco. Aside from delays within record productions; Arlen also experienced plenty of challenges on large global tours, this time with Simon and Garfunkel. “In 1983, I was teaching Paul Simon. I would also help and give him some pointers in some of his songs. Then, they asked me to do the world tour, the big Simon and Garfunkel tour. It was exciting to be on a tour that big, playing for 40,000 to 100,000 people a night. “Yeah, it’s unbelievable,” responded Arlen. “It seems like they have festivals all the time, and these huge gatherings of people. I remember doing some of them with Simon and Garfunkel, and when the crowd got violent, there were riots and people getting hit over the head. “We were playing “Scarborough Fair” and people are hitting each other over the head with bottles of Evian. Paul, when he saw that yelled, “Stop doing that. We will stop playing if you don’t stop hitting that guy!” People were getting crushed, running on stage and pulling your clothes; it was kind of scary. As I thought about having thousands of people watching every move a musician makes on stage, I recall reading about another major event in Arlen’s career where he performed for a large audience. This time, his guitar playing had caught the attention two actors on the set of Saturday Night Live – Dan Aykroyd and John Belushi. A jam warm-up session that night with Arlen transformed into the beginning of The Blues Brothers. 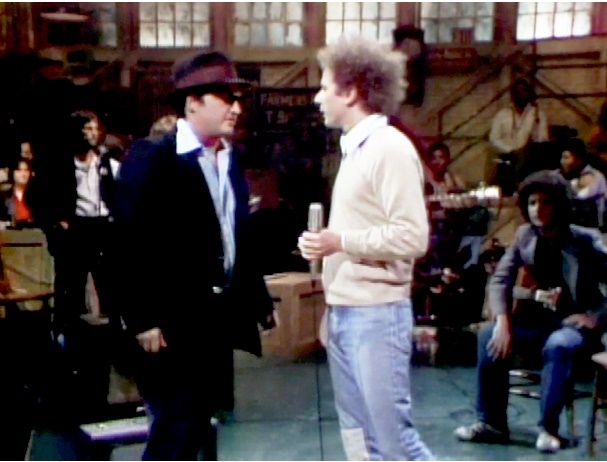 “That night in 1978, [on the set of Saturday Night Live] there was no “Blues Brothers” yet. Belushi comes up to me, puts on a hat and sunglasses and says, “Look, we are going to warm up the crowd. We’re going to put on these blues outfits, and we are going to be these blues guys.” We just warmed up the crowd with a song, which happens to be on this new album, “Rocket 88,” which I also did with Johnny Winter on the new album. “What happens at Saturday Night Live, is you start on Wednesday, and by the time you hit Friday, you do the show over, and over. You have a rehearsal, then a dress rehearsal, then a live show. By the time you do it, you don’t even care anymore. You don’t even know it’s live, you are like blind. They keep cutting routines, changing them, and I remember I was backstage with Belushi. According to outside sources, The Blues Brothers became a musical sketch on SNL, then filming of the movie started in 1979 and then premiered in June of 1980. While it earned just under $5 Million on its opening weekend, it went on to gross $115.2 Million in theaters worldwide before its release on home video. The film has become a cult classic (en.wikipedia, 2015). By the 1980’s, Arlen had taught Paul Simon, toured the world, and contributed to the beginning of The Blues Brothers. In 1986, his influence would later grab the interest of director Walter Hill, who had just started filming the film about the legendary Robert Johnson titled Crossroads. Walter invited Arlen on the set to be an authenticator for the film, to play much of the guitar in the movie and to coach Ralph Macchio on his playing, and the guitarist made sure to deliver. “The actor who came in said, “Oh, don’t worry, I’ve got it covered.” He didn’t have anything covered. He did not understand that the guitar had to be the right one for the era of the scene. So, we shot another scene instead and then, the following day; we shot the authentic and correct Robert Johnson session. While Arlen acted as a director for a popular film, performed on television, and taught famous performers, he did not stray away from his life as a performer and a music teacher. He did not depend on these once-in-a-lifetime opportunities for his living. Arlen claims that teaching and showing an artist’s innermost passion is what he is all about. “Many years ago, I was one of the first people to ever document famous musicians teaching. I had started a company with my late wife Deborah called Hot Licks. We formed it in 1979, and it was as far back as 1973 that I knew I would start it one day. In ’79, I started recording my teaching on audio cassettes. I then found other peers of mine – guitar players, piano players, drummers, whoever might be – anyone who would be willing to do something like this. It was a very new idea – it was not something many players embraced – the concept of laying it out on the line and saying “This is what I am about.” I am self-taught, I never took lessons, I don’t read music, I only learned in real life, in front of real people! “I thought audio recorded lessons was a great way for people to learn because, and till this day, I still encourage my students to tape their lessons. I teach privately, and I always tell them [students], please tape it [the lessons] because you will lose everything, you will miss a lot of what we say. One day, a student said to me, “I miss those lessons on tape.” That student moved out to Colorado, and I said, “Aha! Lessons on tape. That’s what I will do someday when I need to start another business. Arlen now touches on an important point – the fluctuation in the music business. For many musicians, across the different generations, teaching had provided a stable endeavor for instrumentalists. He claims that this is why he stuck with teaching. In addition, teaching brought Arlen equity. “I figured that no matter what, people would enjoy my playing and be interested in my playing because I would change the way people were learning the guitar. I had self-taught musicians, teaching everybody else to teach themselves. “Many of the artists I recorded or filmed never actually sat down and ever had to explain what they did. I had Buddy Guy talk about the blues. Here is a guy who is my hero from when I was about 15 years old, telling me, “You’re the boss, tell me what to do! ?” I said to him, “Buddy, just do it, just play.” All the people who I had admired for many years, some of them whom I really looked up to, suddenly there they are sitting in that chair, in front of those recording cameras for an instructional video, produced by ME!! The musician expresses, “there is a lesson to be learned in everything.” He also believes in “the timeless quality of passing all of that information onto people” and down to his family. Lexie, Arlen’s second daughter, picked up the bass guitar when she was eight years old and entered the world of performing within her teens. Now, in her mid-twenties, she is working on her third album. In the meantime, Lexie also works as a natural gourmet chef. Earlier this month, she starred in a commercial for the Food Network. Arlen’s first daughter Gillian, who had incredible poise, beauty, and dignity, learned to play the guitar, and started doing commercials at 11 years old. She also performed with Arlen at a concert when she was 12. She even received a contract to star in a television show, where she would be the main actor, guitar player, and singer. Sadly, in the late 1990’s Gillian passed away in a car accident at the age of 14, with her mother, Deborah just two days after she had recorded the theme for that show. Arlen says, “Because I did start playing so young, I worked with many people who were much older than me. Looking back, I got the spotlight a lot, but people also took advantage. I think you have to be a little cautious about that; there are must as many predatory people out there [today] as there ever were. When you are young and happy to do anything for any money, people start to know you are not the kind of person to turn stuff down. “Something good has always led to something else. If you do something great, the word spreads and you get called for something better the next time. For example, in my old days in New York, in the early ‘70’s, I would get called to do recording sessions. I really grew up listening to the music that came out of California, Chicago and Nashville. What made me stand out in New York at that time was, there were not too many people my age who played slide guitar, dobro or my unique string bending method. They could not even get a good sound on a guitar in New York. “I came to New York [in the early ’70’s], into a recording session. I would hear myself play on the record what sounded like this little “chink, chink, chink” sound. I told them, “That’s not the sound I am giving you. I’m giving you this wonderful rich guitar sound,” but the guitar was not important. The guitar was secondary, and you always had to be careful of what you’d say to these folks. “[I thought], “what are they asking me to record here?” I am recording nothing on this guitar. They were so impressed with me; they saw me perform, they jumped out of their seats and the next thing I know, I am playing “chink, chink, chink” on a record. Then I realized, this is what it is [sometimes] to make a record, at least back then. In those days, it was about overdubbing, layering, getting different sounds, going for hours and hours, breaking for lunch, and then doing it again. “Stay true, and learn from those lessons. I had recording gigs that were just nightmares. You walk out of there, and you feel like you aged ten years. The reason it was such torture is because I already had the direction I needed to go in, and they were trying to force me into another thing. That’s part of working as a session man or a musician. Sometimes you have to play backup, adhere to what they want, and be attentive to find the moments where you can shine, and be your creative best. 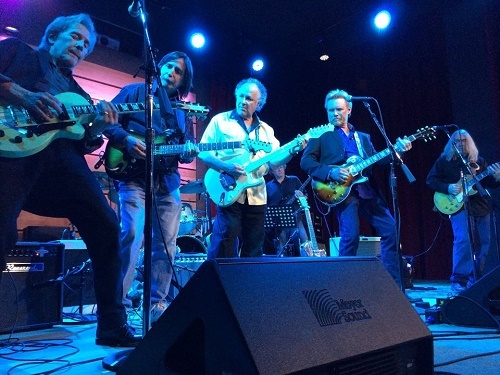 “I’ve got this wonderful breadth of people, great friends and greats who play various forms of slide guitar,” which includes Sonny Landreth, David Lindley, Rick Vito, Johnny Winter, Lee Roy Parnell, Greg Martin, Jimmy Vivino and more. Arlen also asserts that when people think of slide, they think of blues. Slide Guitar Summit however, will expand into many different territories when it comes to slide guitar music. While listeners can expect the electric blues and Delta blues, they can also expect rock, southern rock, country, and Hawaiian. It is a little more challenging to categorize, but that is what makes it fun. Listeners can expect duets between the artists mentioned above and tributes to songs that have become classics within American music. 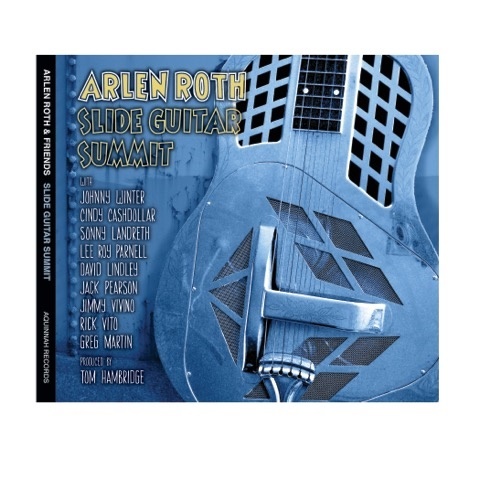 Arlen Roth and his Slide Summit band will be in upstate New York on May 29th and 30th. Before that, he will probably hit New York City. To get the most updated information on concert dates, standby his website and Facebook. I let Arlen take the reins of this conversation to share his amazing story. What many music listeners often forget is that music is cyclical. While the slide guitar tunes I learned when I took guitar lessons as a teenager are not the same tunes Arlen taught himself when he was a teenager; that technique transcended eras and continues to do so. What also transcends eras are the lessons musicians learn from being within the business. Performers and recording artists continue to learn how to walk that fine line of staying open to new experiences within creating music while never losing focus on the sound and the style that makes them passionate. For Arlen, it was always about the playing and being self-taught. For other musicians, it may be about revitalizing a genre that made them happy growing up, or experimenting with various genres, or focusing on layering sounds within music, or simply about performing or collaboration. Whatever we stand for as professionals, we must never lose sight about what makes us who we are. Prosaic? Sure. Valuable though? Yes. When I listened to the song by the Nashville-based band, The Blackfoot Gypsies called “Don’t know about you,” I immediately felt the timbre within the singer’s voice resembled that of Bob Dylan from the ‘60’s. In addition, I felt splashes of rock ‘n’ roll, blues, Garage Rock, and Americana. As far as the rest of the song is concerned, I heard very little country. I initially found this curious because I thought Nashville was the capital of country music. Thankfully, the band told me this is not the case. 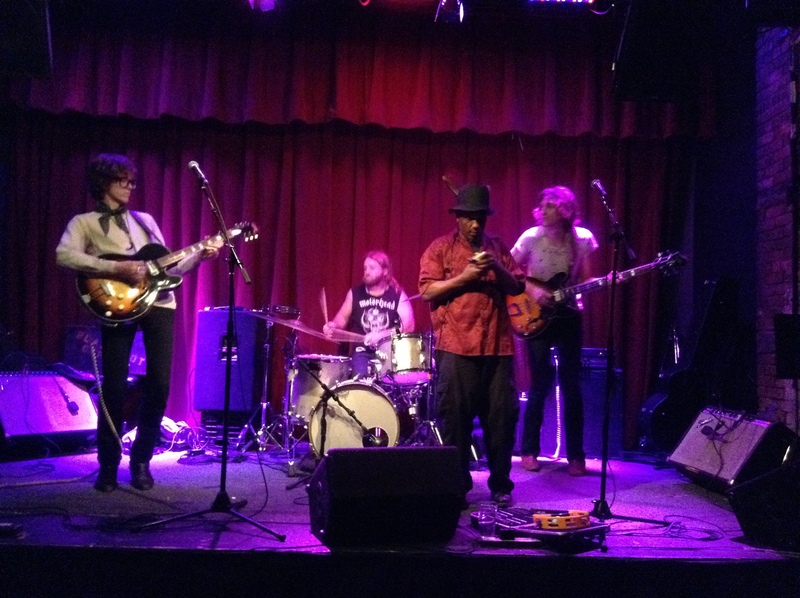 The group’s harmonica player, Ollie Dogg adds, “It used to be that way, but I always played the blues.” As I talked with this group at the dimmed Delancey lounge on the Lower East Side, I soon learned that only two members of the Blackfoot Gypsies are Nashville-natives. The group began as a duo in 2010 with drummer Zack Murphy and Guitarist and vocalist Matthew Paige. Zack had just moved back to Nashville after spending six years in Knoxville, and Matt had recently moved from his hometown around Portland, Oregon. Both young men were new to the music scene and somehow, they found each other and started playing. Then, in 2012, Dylan, who relocated from Gettysburg, Pennsylvania met with Matt after seeing the duo at a show. The final addition to the band is Ollie Dogg, who was introduced to the group by his cousin at a Marathon Party. Now, all members live together in the same house. Research this band’s Facebook page, and you will see a charming photo of the band right outside of their beautiful home. Dig deeper onto the “about” section of their page and you will find something that if it doesn’t grab your attention, it certainly grabbed mine – Band Interest: “Spreading the terrifying joys of realism.” I asked Matt to talk to me a little more about this. “To be able to earn money, be silly and entertain, and somehow keep a leveled head about yourself,” concludes Matt. Just a few minutes into my chat with this band, I have already learned that something besides country music is happening in Nashville, and the realism this group speaks of might actually go beyond the lyrical content within their songs. For the remainder of my conversation with this group, I wanted to learn more about the band that described themselves as “The amplifier for your heart and soul, your love and your hate, your on and off, your push and pull… there is no room for thinking… Only feeling (Blackfoot Gypsies, Facebook, 2014).” It’s my pleasure to welcome the Blackfoot Gypsies to Music Historian. “They are the ones you can’t control, and the ones that you want to hate, but you can’t. We’re not necessarily trying to prove anybody wrong [about themselves] but mostly trying to tear down the walls of the preconceived notions people usually create about who they are and what they like. “When they come to the show, [for example], I’ve watched guys try to be straight, square and cool in front of girls, and then they turn into these ape monkeys because something happened [inside of them]. It is in the music, it is in the energy, and sometimes, it gets so fast and perpetual that you lose yourself. I could tell this band wanted to convey something to the listener within the first song on their 2012 LP On the Loose, titled “Don’t Know About You.” In the opening verse, only the guitar accompanied the voice. The lyrics are – I wandered out last night/ looking out for your home/ knowing you like to roam/ without your telephone/ But you don’t know because/ I never said a thing. Then when the chorus came, later in the song, the one element that grabbed my attention was how the down beat in the drums, the harmonic rhythm in the guitar, and the voice came in synch, emphasizing the lyrics I don’t know about you, but I feel like makin’ love. These compositional elements attract the listeners’ attention and make for a memorable melody. Then, there are other songs on the record that have sadder lyrical content, like “Stone Throwin’ Angels.” One of the verses in the song is You’ve got three kids in the yard/ and watch you come and warm your bed/ and a fugitive conscious that goes unsaid… I asked the band members about the meaning behind these lyrics. “That one is mainly about a friend of mine who was once a musician and could have followed the dream, but then he had kids and a wife, and I watched it not happen,” explains Matt. While this song is based on a true story, Matt claims that if it holds any relevance at all, the fun part is making up the rest, in a way, that applies to the songwriter. Then Zack asked me where I was from and somehow, I mentioned that I grew up in a Romanian-speaking household. I promise, I’m not babbling. This information will become helpful as the article continues. At the moment, The Blackfoot Gypsies currently self-distribute their LP and it is available for download and 12” vinyl. Zack describes the process of being your own musician and entrepreneur as rewarding. “It’s so much like dating someone – ridiculous. It’s through a friend of a friend that saw you at a show… and now they’re bringing their friend’s lawyer to check you out. Then, there is a meeting and contract, and ‘Oh my God,’” he continues. “Romania is fine, I’ve got nothing against it,” said Matt jokingly. Regarding the Blackfoot Gypsies’ immediate future, the group is currently focusing on a few projects. The first, a new LP titled Handle It, which they plan to release at the beginning of August. The second, a Gypsy Camp Tour set to start in July, which Zack claims will be amazing. Matt, Dylan and Zack say the band is coming to do a show in New York City on July 11th, at the Bowery Electric, as part of a two-week camping excursion, romping around the middle of America. Basically, The Blackfoot Gypsies will perform at venues everybody recognizes. Instead of heading to a motel after the show though, the group will set up a tent somewhere. Given the lack of camping grounds in cities like this one and Chicago, the band already established they will sleep under a roof for these particular shows. “It is part of the adventure,” explains Matt. “We are shooting for the gypsy concept but sometimes that does not always work out. We will sleep under a roof when we come to New York City or Chicago. 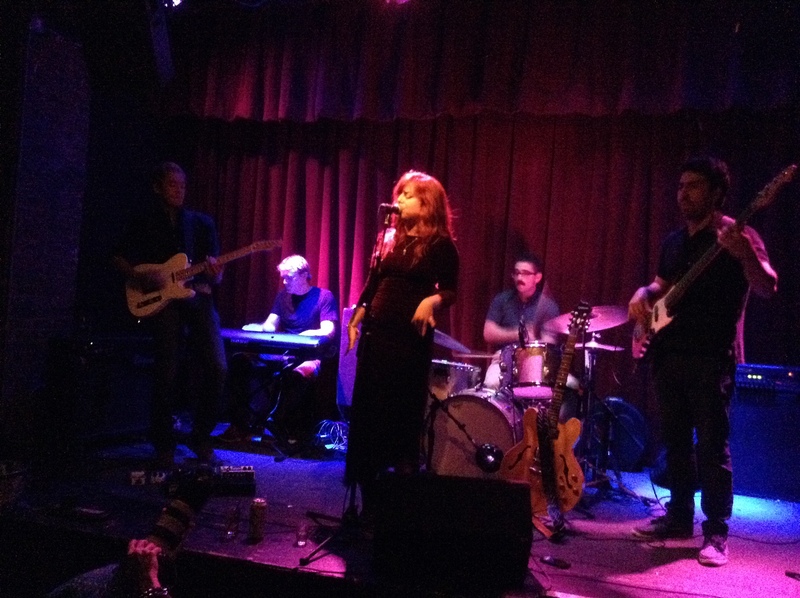 I saw a performance by the Blackfoot Gypsies at Spike Hill in Brooklyn. 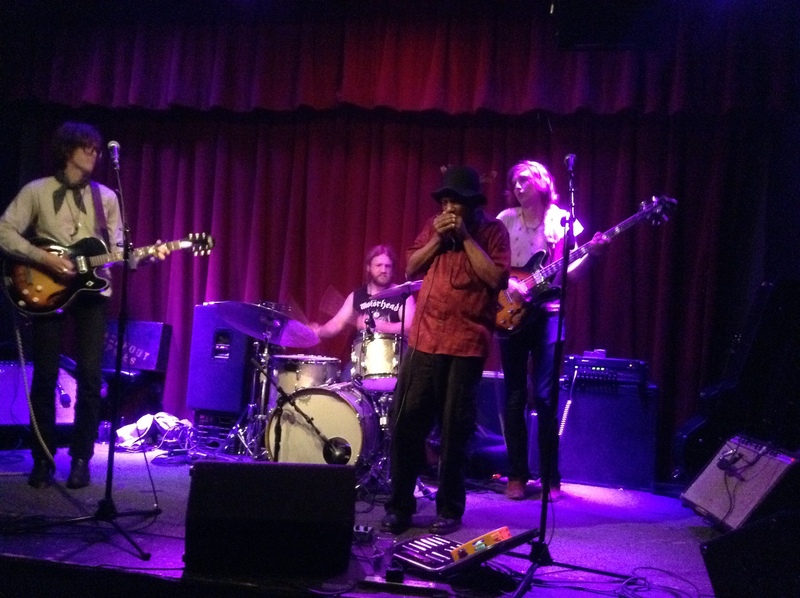 The energy that filled the audience, the amazing and full-bodied harmonica playing by Ollie Dogg that drew in the attention of the whole crowd, and the well-rehearsed set from the rest of the band assured me this group is really searching for winning moments. These moments don’t only come from performances, they will also come from the right record deal that will benefit both The Blackfoot Gypsies and the label helping distribute and promote the band’s music to audiences in all corners of the U.S.
Lovers of Americana looking for the perfect music that will help them temporarily lose themselves and feel both the good and bad, beautiful and ugly, positive and negative emotions all at once need to check out this band. They can download their album through their Bandcamp website, or go to a live show, which can have its perks. 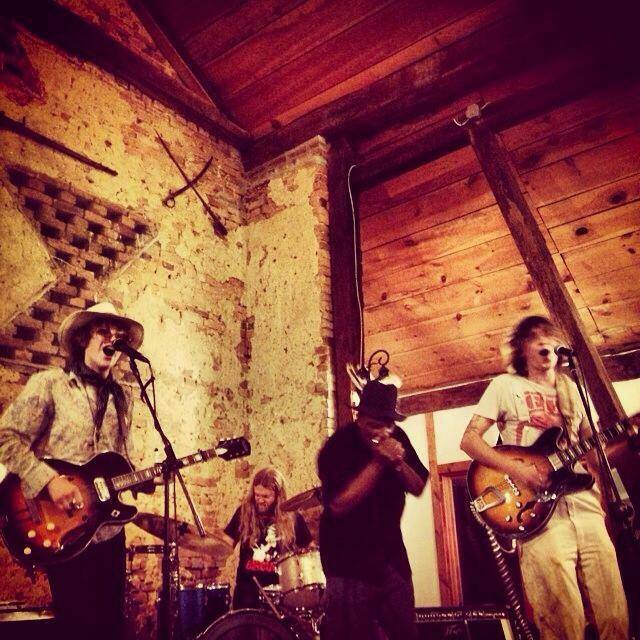 The Blackfoot Gypsies like to bring a close-knit line-up with them, enabling listeners to get a taste of other Nashville-based independent musicians who have a similar sound. Meanwhile, label representatives should continue pursuing this group, especially since, as Nashville-based artist Kim Logan would say, “Americana has taken hold, and as vinyl makes a comeback,” more artists will be performing rock ‘n’ roll (as cited in “Plugging into Modern Southern Rock,” 2014, para. 33). As I conclude this interview article, I want briefly to share the inspiration behind the band name. “Not all Romanians are gypsies,” I explained. “Yes they are,” he responds. 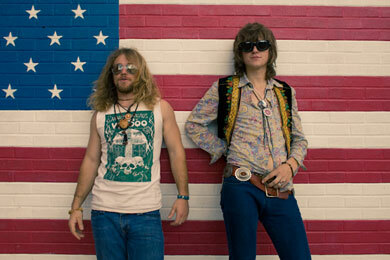 Perhaps The Blackfoot Gypsies don’t play themselves up as a mysterious rock band, but who needs mystery all the time? Let the music take over every now and then, and help you release some of the feelings you have internalized for a while. Try it. You might actually find it enjoyable. Like many individuals, I initially questioned the thought of bluegrass and hip-hop in the same song. Then, I listened to the Brooklyn-based group Gangstagrass and became more confident and intrigued by this amalgam. When I watched Gangstagrass perform live at the Mercury Lounge earlier this year, I felt like I stumbled upon an exciting discovery on the New York City music scene. In my full-length interview feature for the month of June, Rench talks about the events that helped Gangstagrass gain substantial attention from the public; how the union of bluegrass and hip-hop works; and why this union matters in today’s musical landscape. It’s my pleasure to welcome Gangstagrass to my blog on Music Historian, Hear; Don’t Listen. From a one-man project, to a band, and to a theme song for a television show, and more! According to Rench, Gangstagrass gradually evolved from a one-man project inside his own recording studios in 2006, Rench Audio studios, to a group composed of long-time musical collaborators and temporary instrumentalists in 2010. Rench arranged the beats and the instrumentation on T.O.N.E.-z’s latest solo album Hennessy and Moonshine released earlier this year. “At the time I started Rench Audio Studios, I already had a band called B-Star which played honky-tonk hip-hop. Dolio the Sleuth was part of that group. I have been working with him for about a decade now. Some of the bluegrass players that Rench originally recruited stayed in Gangstagrass for a while. The group also experiences a wave of musicians that frequently come and leave as they pursue separate projects or go into different directions. The transformation of Gangstagrass from a project into an actual group opened the door to what would later be “a big stroke of luck.” In 2010, the band’s song “Long Hard Times to Come” featuring T.O.N.E.-z was selected as the opening theme for the television show on FX, Justified. “They [the producers of the show] were looking for a bluegrass and hip-hop song, and we happened to be doing it,” enumerated Rench. “It was the perfect type of exposure for Ganstagrass. The positive reception of “Long Hard Times To Come” resulted in an Emmy Nomination in July 2010 for Outstanding Original Main Title Theme Music. The public’s growing interest in Gangstagrass encouraged Rench to make a full album later that year titled Lightning on the Strings, Thunder on the Mic. Rench also states that he applied the compositional formula in “Long Hard Times To Come” to the other songs on Lightning on the Strings, Thunder on the Mic. The album that followed Lightning on the Strings… was Gangstagrass’ 2012 release, Rappalachia, a record that displayed more the band’s versatility. “Rappalachia… explores different ways of combining bluegrass and hip-hop and welcomes different techniques and rappers,” elaborates Rench. “I wanted to branch out a little and not stick closely with the same [compositional] formula, so I took the production in different directions. Sometimes I would start with a hip-hop beat and build with a bluegrass clip. On other songs, I would start with a bluegrass sound, build a beat around that, and then have the rappers build their rhymes. Some songs involved a more organic approach, like having the bluegrass band play a whole song through while others had more of a sampling approach. “The song “Big Branch” is based on actual events that happened,” explained Rench. “When I brought the song to Tomasia, she took it upon herself to research the rural mining issues that affect many communities in Kentucky. Tomasia put herself into that role and wrote from that perspective so well. Rench’s last statement about “Big Branch” helped me see that both bluegrass and hip-hop include topics about the average person’s everyday struggle. Of course, one genre pertains to the struggles of rural life while the other focuses on the struggles of urban life. Then started I wonder whether these two genres have more in common than just lyrical subjects. Rench observes the similarities and differences of these two genres while working in the studios and performing with Gansgtagrass. “When I work with the rappers and bluegrass players, we find a lot of common ground musically. Both these genres share improvisational elements and each has a different word to describe these elements. For example, during a jam session, we stand around in a circle and take turns improvising. In hip-hop, this is called a cipher while in bluegrass, it’s called a pick. Basically, they are both the same thing. “Sometimes rappers will freestyle while the bluegrass players are improvising solos, and they will click. The artists from both genres approach improvisation with the same impulse – creating a dialogue within music and turning it into a conversation. “As a genre, Bluegrass is very virtuosic-focused and lacks an exciting performance element. Traditionally, it involves people fine-tuning their skills and ability to perform accurately and passionately. Bluegrass performers typically stand in one place and focus on their instrument and playing something amazing. During a performance, the rapper often sings to the audience then turns his or her attention to the neighboring banjo player and says “take it away.” The instrumentalist can really focus on a solo and the rappers can freestyle a new verse. When I went to see Gangstagrass perform for the first time back in March, I couldn’t remember the last time a room of 70 or more people had so much fun watching musicians that were also enjoying themselves. I believe this experience helps individuals with varying musical tastes accept and embrace the fusion of bluegrass and hip-hop. One question I do ask myself though is whether Gangstagrass’ union of bluegrass and hip-hop might help shrink the divide between rural and urban audiences. I ask Rench for his opinion on this thought. “I think the music industry has perpetuated this idea that there is white music and black music, rural music and urban music. Each style has a separate chart, separate radio stations, separate websites and separate everything, as though separate groups of people listened to these genres. That’s not the case. “People have Johnny Cash and Jay-Z on their iPods on shuffle. They listen to all kinds of stuff and appreciate a variety of different music that comes from different places in the country. First-time listeners also exhibit amazement at the fact that bluegrass and hip-hop can work well together. “Many people think bluegrass and hip-hop would not work well,” says Rench, “and it’s certainly true that it can turn out badly or come out wrong. It happens sometimes. Gangstagrass is currently on the road, touring in various cities on the mid-Atlantic coast and stirring conversations and discussions among hip-hop and bluegrass listeners. By the middle of July, the band plans to hit California and make a stop overseas in the Czech Republic, before hitting the road on the East coast again in August. In addition to the on-and-off touring, Gansgtagrass plans to release another album either in the Fall or early next year. “I don’t know what to call it [the album] yet, but we’re exploring ways of bringing together a lot of the same rappers and bluegrass players that we are working with now,” enumerates Rench.